Kerala University Distance Education Admission Notification has been out now. 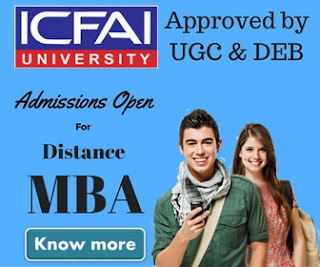 Students seeking admissions into various distance learning courses offered by University of Kerala can apply for the admission. Admissions are now open for more than 40 courses including various diploma courses, undergraduate courses, postgraduate programmes & management courses. If you're looking to take admissions into certificate or PG diploma courses, TC & Migration certificate is not required to take the admissions. 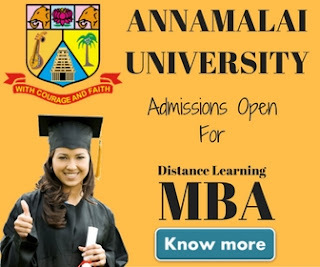 Students seeking admission into Kerala University distance education MBA course has to go through an entrance exam which is scheduled to be conducted on October 2019 (Tentative). Students need to buy a prospectus which include an application form from university website i.e http://www.ideku.net or from School of distance education Palayam office. Forms can also be purchased from Forms Sales Counter, Palayam Campus and also from the District and Taluk Information Centers of the Kerala University as well as from the Learners’ Support Centres. The cost of prospectus is Rs.250 for all Indian residents, for foreign students the cost of prospectus is Rs.500. MBA students also need to pay Rs.200 additional as entrance exam fee. Fee can be paid through demand draft. Students from Kerala can get the DD made from SBT branches in favor of The Finance Officer, University of Kerala payable at SBT service branch Thiruvananthapuram or from the District Co-operative Bank branches payable at State Co-operative Bank Head office Branch at Thiruvananthapuram. Students reside outside Kerala are required to get the Demand Draft made from SBI branches payable at SBI Main Branch, Thiruvananthapuram. Student can also submit the fee at Cash Counters at Kariavattom and Palayam campuses and at the Janasevana Kendram. Students are required to pay Rs.10 additional as a service charge if they'll make the payment through DD. All the courses offered by University of Kerala is approved by distance education council (DEC). For more details about the courses and admission students may contact at the following contact details.